For most people, the Lexical Approach is about focusing more on vocabulary in general and collocations in particular. Personally, however, I have always thought that the crux of the Lexical Approach is a different approach to teaching grammar. 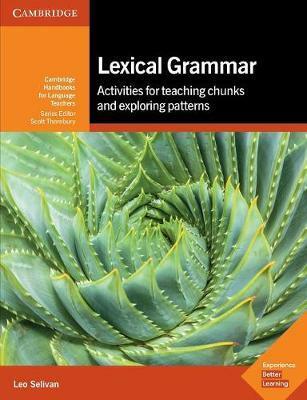 Lewis himself acknowledges that the Lexical approach “means giving attention to a much wider range of patterns which surround individual words […] In this respect, it is a more ‘grammatical’ approach than the traditional structural syllabus“ (2000:149-150, author’s emphasis). Hugh Dellar, co-author of the only two coursebook series that incorporate the Lexical Approach – Innovations and, to a lesser extent, Outcomes, has shown in his books how this, lexico-grammatical approach can be put in practice. In his IATEFL webinar, he brought in theoretical evidence from J.H. Firth and Michael Hoey to drive his point home. It was Firth who introduced the terms collocation and colligation in the 1960s, but, while the former has gained currency in ELT (especially in recent years), the latter hasn't been embraced by the profession, despite extensive research of the phenomenon carried out by Hoey (see Hoey's accessible article on the topic on OneStopEnglish). Put simply, if collocation is a lexical company of a word, colligation is its grammatical company. For example, verbs of perception, such as hear, notice, see, watch, tend to be followed by an object and an -ing clause: I heard you coming in late last night. I saw him playing live when I was in Belgrade. Another example Hugh gave was the expression “to stand the test of time” which colligates (i.e. 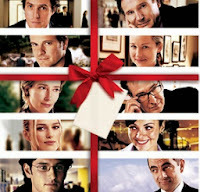 likes the company of) the Present Perfect as in: “…has stood the test of time”. As such, these are not grammar errors, but rather what Hugh referred to as “micro-grammatical problems” caused by a lack of awareness of how the words agree, depend, feel etc. interact with grammar. For example, students may have learnt the meaning of “depend” but have not factored in the pattern attached to the word. As a result, they speak L2 in L1 bringing in primings (a term coined by Hoey) from L1. "I have the possibility to... (do smth)"
Such micro-grammatical problems lie outside the realm of the traditional pedagogical grammar which places (undue) emphasis on the sentence-level grammar (aka the Big Grammar). Hugh Dellar remarked that believing that the Big Grammar is the cause of the above mistakes is to miss the point. IATEFL offers monthly webinars; these are available to members as well as non-members. For a list of upcoming webinars, see HERE. 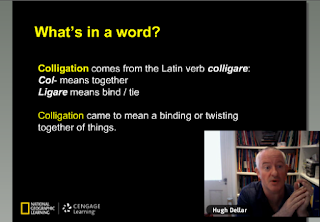 According to this report, Dellar extends the term colligation to include cases where “a failure to follow the pattern associated with a word results in error”. * What does “a failure to follow the pattern associated with a word” mean? * What is “the pattern associated with a word”? * Could you give me some idea of how many such patterns there are, to the nearest hundred thousand? * Are there any guidelines (I refrain ofcourse from asking for rules) that might help us teach kearners how to “follow” patterns associated with words? You suggest, following Dellar, that the error “It is depend of my girlfriend” is not a grammar error, but rather a “micro-grammatical problems” caused by a lack of awareness of how the word “depend” interacts with grammar. “For example, students may have learnt the meaning of “depend” but have not factored in the pattern attached to the word. As a result, they speak L2 in L1 bringing in primings (a term coined by Hoey) from L1”. I wonder how many teachers, if presented with this alternative analysis of the error, would think that it’s better, clearer, more pedagogically appealing than seeing it as a grammar error. * In the example, what pattern attached to the word has the student not “factored in”? * What primings from L1 explain “It is depend”? * What is the advantage of this analysis? The lexical chunk “It depends on ...” is a frequent one, but what’s the use of this “extension” of colligation? You repeat Dellar’s assertions about the efficacy of this alternative analysis but you offer no explanation. * Why is this analysis better? * How would you teach learners to “follow” the “patterns associated with words”. Dellar says that traditional pedagogical grammar “places (undue) emphasis on sentence-level grammar”, and that believing that sentence-level grammar is the cause of the mistakes listed is “to miss the point”. * What point is missed? * Why should grammar work start with exploring patterns associated with words? * Why is “a more bottom-up approach to grammar” better? * Why is it better to explore word grammar or colligations than to focus on 'big' grammar issues (e.g. tenses)? Thank you for your comment. I'll try to answer some of your questions. I did acknowledge that Hugh may have taken liberty with the term so I am not going to dwell on that. The mistakes such as *it's depend or I'm agree are micro-grammatical in the sense that they are not caused by a failure to apply the rules of the Present Simple (although many teachers may see them as such) but by not knowing that "depend" or "agree" are verbs in English (whereas in L1 similar concepts may be realised by means of adjectives). If you ask me, "it depends" should be taught as a chunk and not broken down in the first place. That's why "grammar" work should start with teaching "it depends" and "I agree" (i.e. teaching grammatical patterns and not just meanings) rather than teaching "to depend" (+ definition / L1 translation) and "to agree" (+ definition / L1 translation) and then hoping that students will combine the new words with the correct grammar rules that we've spent so much time on practising and somehow get it right. Hence, it's better to focus on word grammar and not "big grammar issues" because most teachers are already doing enough of the latter. Naturally, there are hundreds or thousands of patterns - Willis's Rules, Patterns and Words may offer an insight into how many but don't quote me on that. Hope it answers some of your questions. It makes perfect sense to me. I've had students who were exposed to e.g. Present Simple x Cont years ago and still use the tenses wrongly. But if I teach them various structures 'around' a word, they get it right. I use a dictionary or Scott Thornbury's Natural Grammar as reference. Thanks for confirming what I've been doing out of ituition. So students who were exposed to e.g. the present simple and continuous years ago and still used the tenses wrongly get it right when you teach them various structures "around" a word. That's remarkable. Can you tell us what the various structures were which you taught, and which word you taught them "around"? Scott Thornbury's Natural Grammar is an excellent resource for this kind of grammar work - on the word level. Despite what Geoff says, I wholly subscribe to this approach to practising "grammar" . Geoff, "it depends" mentioned above is one such pattern. Or, for example, "I've never been to..." for the Present Perfect. Yes, J R Firth is credited with really introducing the terms collocation and colligation, although I think collocation was first used by someone else in the 1930s. I came to TEFL teaching quite late in life (after I had retired from school teaching) only to discover that my grandfather (yes, it is he, John Rupert Firth) had pioneered some useful ideas in linguistics. In fact, he died in 1960, and it is his students who studied under him at SOAS in the 40s and 50s (such as Frank Palmer) who really spread some of his perspectives. He wrote indluential papers, but never the magnum opus that was expected and hoped for. It always gives me a tiangle when i see his name. Reading this article i see more and more how his saying "You shall know a word by the company it keeps" really is very helpful. er... influential, tingle, and various lower case 'i's' need to be corrected. When I your name popped up I thought, "What a coincidence!" But having read your comment I see that it is not. Honoured to have you here. Interesting Book. however I have sentence fragment checker online for students and author who find difficulty to make sentences.